Back in July, Cisco announced they would enter the enterprise CDN market with a new product called the Cisco Enterprise Content Delivery System (ECDS), directly targeting Fortune 500 organizations delivering video inside their firewall. I didn't get a chance to cover the news at the time, but in the four months since the product has been announced, I hear and see Cisco winning some nice sized deals with their new offering. Cisco's solution consists of a hardware appliance and Cisco's Wide Area Application Services (WAAS) virtual blade software. The appliances and software work together to help enterprise companies distribute live video via unicasting or multicasting and on-demand video via caching and prepositioning. From the IT managers that I have spoken with that have deployed ECDS, they say it provides a very IT-friendly management platform for setup, configuration, maintenance, and monitoring of their video delivery. There are three different ways that customers can deploy ECDS, at different price points. 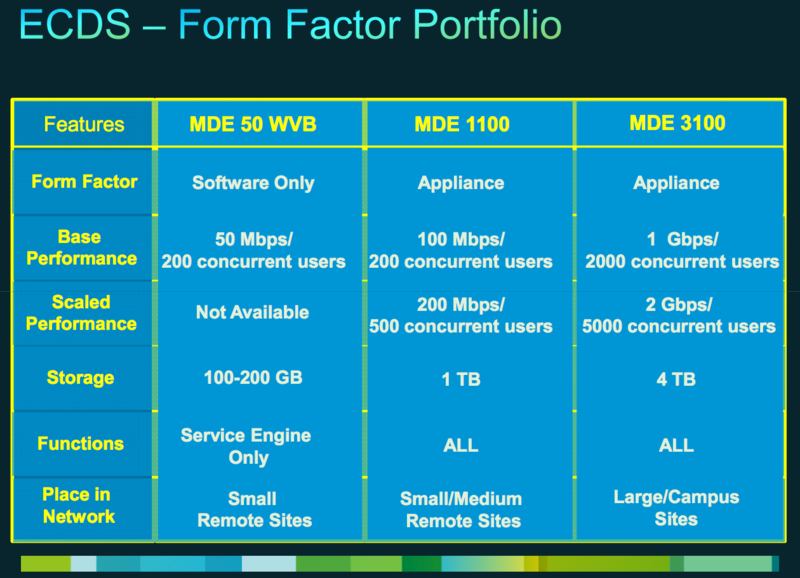 The Cisco Media Delivery Engine 1100 and the Cisco MDE 3100 (pictured aobve) are network appliances that scale to 500 and 5,000 concurrent users. The third option is the Cisco MDE 50WVB, a software virtual blade that supports up to 200 simultaneous users on a Cisco WAAS appliance. The MDE hardware appliances starts at $10,595 and the MDE for WAAS Virtual Blade is offered at a list price of $4395. Over the past 18 months, Cisco has really stepped up their video game, focusing on solutions for the entire ecosystem. 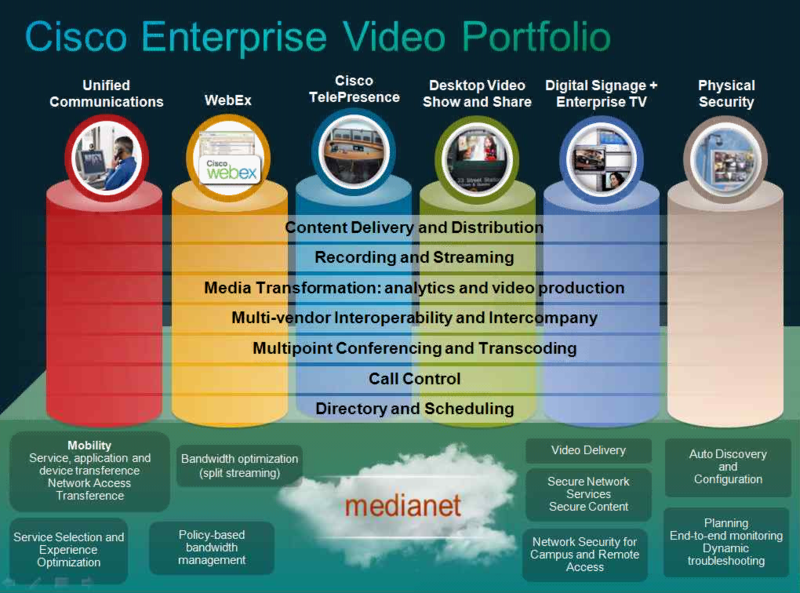 Between all the acquisitions they have done to help transcode, manage and deliver video, as well as their Videoscape platform for services providers, their Show and Share platform for webcasting and now ECDS for the enterprise, Cisco is betting big on video.